Specializing in high-end residential interiors, Amy Seminski established her New York based interior design firm in 2002 with the simple philosophy that sophisticated style must reflect the lifestyle and individuality of each client. Her comprehensive designs ensure that all aspects of the interior are taken into consideration, including custom furniture pieces and window treatments as well as the client’s existing artwork and antiques. She is most noted for her contemporary take on traditional styles, often incorporating clean lines, refined colors and subtle textures to create a distinguished look. 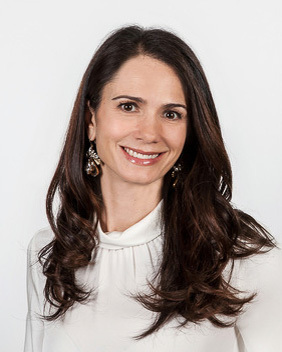 A graduate of the Fashion Institute of Technology, Amy began her career in fashion and later worked with James D’Auria Associates Architects in New York as associate of the interior design department prior to creating her own firm. This unique background combines her gifted eye for color and inherent sense for space planning, both valuable assets to the design process. A wide variety of projects attesting to her versatility range from New York City townhouses to Hampton’s retreats, along with high-end retail stores and modern Soho lofts. Amy forms long term relationships with her clients and has designed multiple residences for families who have come to trust her creativity and integrity.